Tricking people technology is at an all time high. 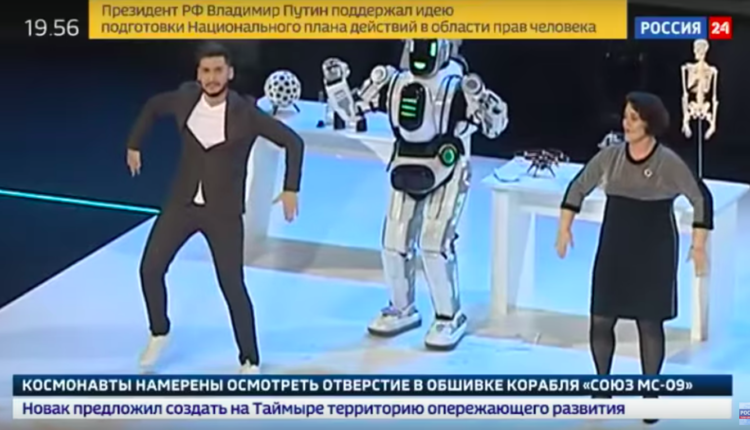 In a story that has all the earmarks of the worst con imaginable, Boris the Robot, a dancing talking robot presented on Russian state television turned out to have been a dude in a suit. It was presented as a bold new step in Russian identity, having been shown at PROJECT, a state funded science fair of sorts, but the biggest boldness on sight had to have been that anyone thought they could get away with this. The robot danced, the robot walked, and the robot at one point said that he wants to learn how to draw and write music and knows math really well. Wow! What an exciting robot! He wants to learn to draw! Definitely a thing you can program into a robot, a thirst for knowledge and learning! The video seemed a little off to people. 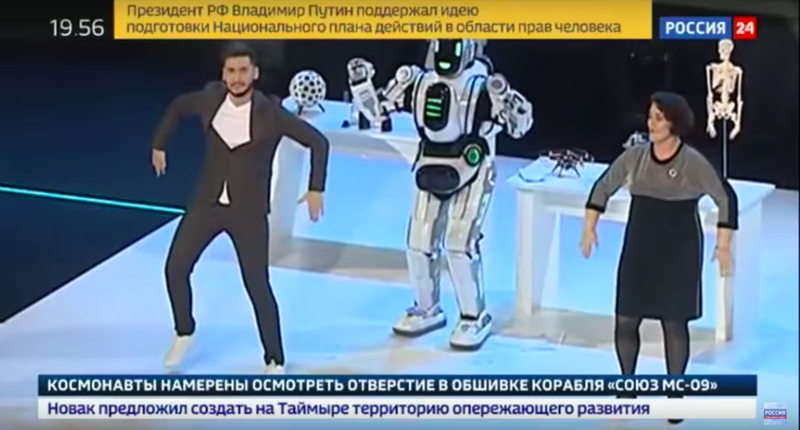 The Russian blog T Journal pointed out some odd elements of the robot. For example, why all the unnecessary movements? And why was the robot so specifically man sized? And also– I’ll just say my own observation. That voice is the most obvious “robot voice done by a normal guy” shtick and, as T Journal points out, the voice comes from the speakers in the auditorium rather. The second most damning piece of evidence? There were absolutely no sensors on the robot to help it see the world around it. The first most damning piece of evidence? This actual photo of the man in the robot suit without his helmet, as published by Putin opponent, Mikhail Khodorkovsky. 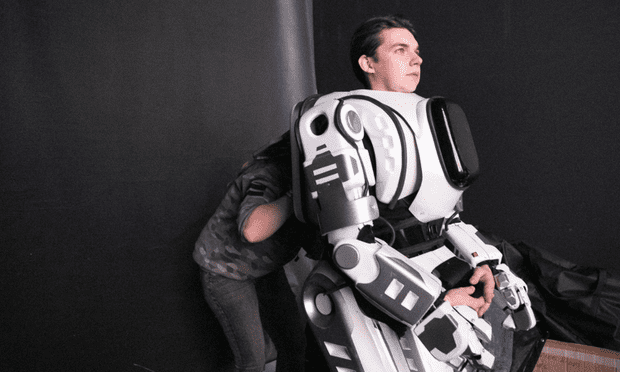 The robot is a robot costume named Ilusha the Robot, and if you want to pretend to be a hyper realistic robot outside of the confines of a Russian propaganda video. Although, honestly, if this was an honest to goodness robot, would I have written about it? Heck no! But a weird con involving a guy dressed in an elaborate costume? Folks. This is the content I so desperately crave. What do you think fo the fake as hell robot? Let us know in the comments or on Twitter at @WhatsTrending.